"...Defeat the Darkness is not a lightweight read. It packs a punch in both plot and character dynamics. It’s not a book that is stuffed with fluff and sweetness – it’s tart, tantalizing and at times disturbing. It has a solid story line and a complicated romance to go with it which concludes with a fitting happy ever after for the trio. If you like your paranormal romances to have bite, sauce and vinegar, and surprises, then give Defeat the Darkness a whirl. There’s a lot to like." 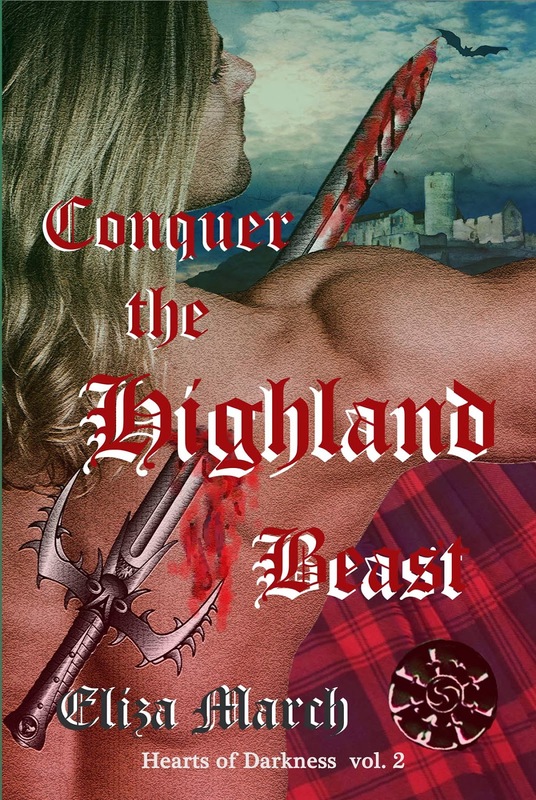 Coming soon from Eliza March...Conquer the Highland Beast the sequel in the Hearts of Darkness series.